I am sitting in my Marketing Class, the teacher is talking, and I am not listening. My thoughts on this class are shown in a detailed illustration as you can see. Getting a master's at night can really be a drag. I think this is a pretty accurate self portrait. 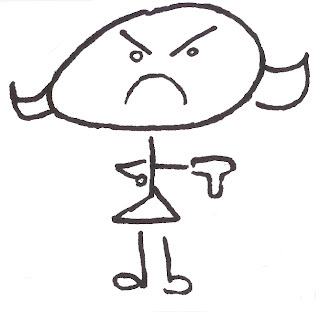 In this rendering, I am pissed off about a lot of things. My left leg has been detached from my body and I have no nose. Wouldn't that piss you off?